AIA Document A134™–2009 is intended for use when the owner seeks a construction manager who will take on responsibility for providing the means and methods of construction. 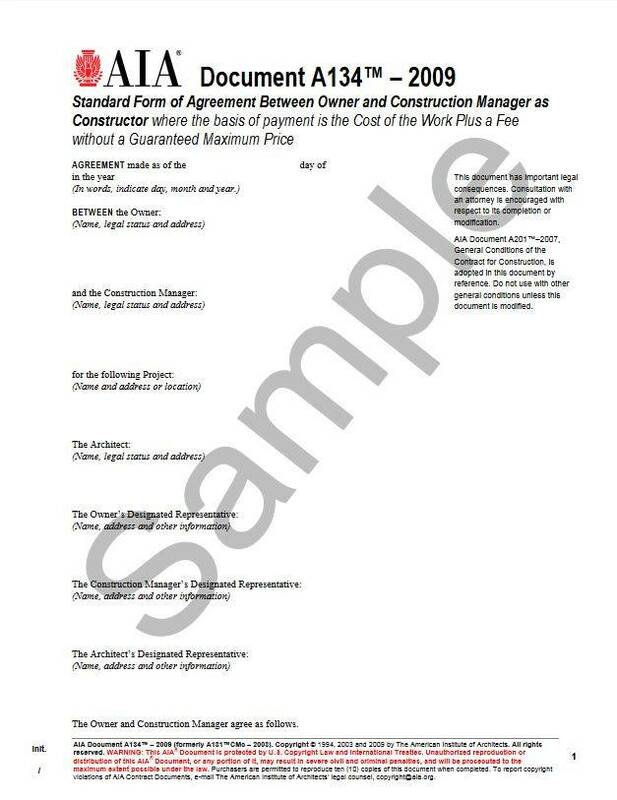 However, in AIA Document A134–2009 the construction manager does not provide a guaranteed maximum price (GMP). A134–2009 employs the cost-plus-a-fee method, wherein the owner can monitor cost through periodic review of a control estimate that is revised as the project proceeds.The agreement divides the construction manager’s services into two phases: the pre construction phase and the construction phase, portions of which may proceed concurrently in order to fast track the process. A134–2009 is coordinated for use with AIA Document A201™–2007, General Conditions of the Contract for Construction, and B133™–2014, Standard Form of Agreement Between Owner and Architect, Construction Manager as Constructor Edition. 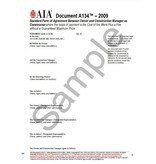 NOTE: A131CMc–2003 expired in 2010.CAUTION: To avoid confusion and ambiguity, do not use this construction management document with any other AIA construction management document.